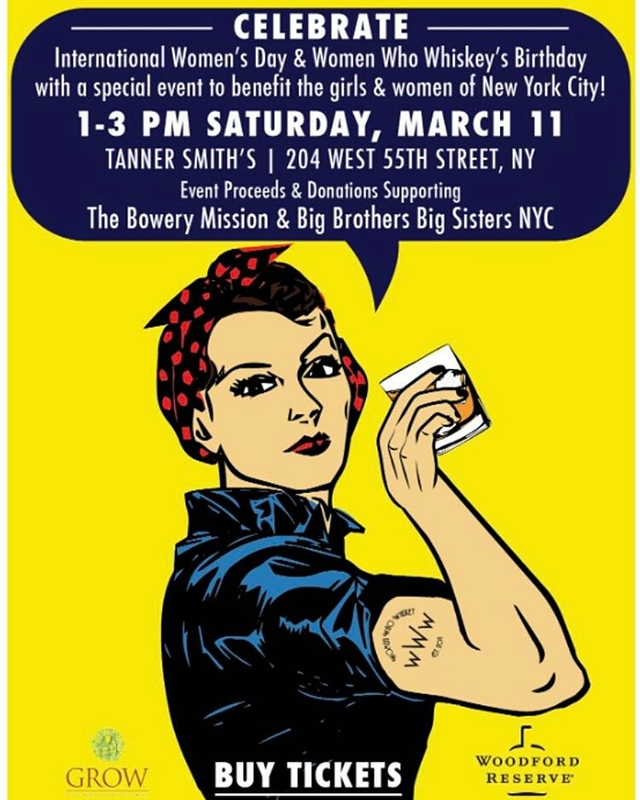 On Saturday, March 11 from 1-3 PM, join Women Who Whiskey for a celebration of International Women’s Day and Women Who Whiskey’s birthday with a special event to benefit the girls & women of New York City. Event proceeds and donations will support The Bowery Mission recovery programs for women and Big Brothers Big Sisters NYC‘s girls’ programs. Tickets: $35, includes Woodford Reserve tasting, 2 Woodford Reserve cocktails, light bites, sweet treats, photo booth, live music, make up bar, oxygen bar, personalized haikus, raffle prizes and a costume contest, cocktail specials, and more! Ticket proceeds will go to support The Bowery Mission and Big Brothers Big Sisters NYC, 3 partner organizations for this event. Tags: international women's day, nyc, NYC events, Whiskey, women. Bookmark the permalink.